BSE shareholders Russ Mitten and Diana Carter attended the Missouri Bar Spring Committee Meetings on May 10, 2013, in Jefferson City, Missouri. Mr. Mitten participated in the Administrative Law, Energy and Environmental Law, and Labor and Employment Law committee meetings. Ms. Carter also participated in the Administrative Law committee meeting and additionally attended the joint meeting of the Local Government Law and Technology and Computer Law committees and the committee meeting Juvenile Courts and Laws. Russ Mitten served as chief legal officer and corporate secretary of large public companies in the telecommunications and public utility industries for more than 20 years. His experience spans the full range of business and legal issues encountered by large companies, including mergers, acquisitions, and divestitures; Sarbanes-Oxley and SEC compliance; corporate and securities matters; commercial transactions; labor and employment law; corporate governance; environmental law; and complex litigation. Diana Carter has a general civil and administrative law practice, as well as an appellate practice. 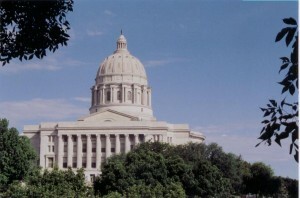 She represents individuals, businesses, and municipalities throughout the state of Missouri. Ms. Carter has appeared before the Employment Security Division, the United States Bankruptcy Court, the United States District Courts for the Western and Eastern Districts of Missouri, the Eighth Circuit Court of Appeals, numerous mid-Missouri Circuit Courts, the Western District Court of Appeals, the Southern District Court of Appeals, and the Missouri Supreme Court.